Watching a movie does give a different sensation. Our feelings are very easily influenced by a film. Even though we know it is just an “artificial story” but somehow our hearts are very easily touched when watching it. For movie lovers, there is no cure for getting rid of boredom and sadness other than watching a movie. Because film is an entertainment medium that greatly influences a person’s feelings. Because it is very popular, film creators always try to create a high-quality film. Of course you can see how the film was different from the film now. Everything has improved, such as place setting, storyline, mandate, and also character in a film. Almost every country in the world produces high-quality films every year, one of which is Russia. of course you already know, since the regime of the Soviet Union, Russia has produced many interesting and high-quality films that have received worldwide recognition. besides that, Russian films also often present sad stories that willore your heart out. For movie lovers, sad stories presented in a film give a positive impression on them. a film that presents sad stories or struggles of leaders who succeed in making the audience cry will provide satisfaction for the audience. After watching the film, they will usually appreciate life. When the audience cries or feels what the leaders feel, it means that the film has successfully delivered a message to the audience. For those of you movie lovers, you should try watching Russian films. We will present russian movies that will make you cry. So, here are 5 heartbreaking russian movies that willore your heart out. The first Russian film that willore your heart out is The Thief. The Thief is a Russian drama-crime film released in 1997 with a duration of 96 minutes. 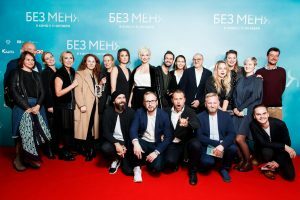 The film was directed and written by Pavel Chukhrai and played by well-known Soviet actors Vladimir Mashkov, Yekaterina Rednikova, Misha Philipchuk, and many more. This film will really make your heart torn and the story in this film is also very unique. Although the drama-crime genre, this film also presents a very touching story of love and family struggle. The Thief tells of a young woman, Katya (Yekaterina Rednikova), and her son Sanya (Misha Philipchuk) who met a Soviet veteran officer in 1946 named Tolyan (Vladimir Mashkov). Katya falls in love with Tolyan who turns out to have become a professional criminal, but he also becomes a father figure for Sanya. Then what is the end of this story? Is Tolyan back to being a good man and they live happily? If you have questions like that, you should immediately watch this film. Your heart will be truly touched by Katya’s love struggle with Sanya and Tolyan. Although the film was released 21 years ago, the flow of this film will impress you. The next film is Loveless, a film directed by Andrey Zvyagintsev, who co-wrote with Oleg Negin. This film is the genre of drama-crime thriller released on May 18, 2017. The 127-minute film is Russian-language and aired in 4 countries, namely Russia, France, Belgium and Germany. The film tells the story of two separate parents, played by Maryana Spivak and Aleksey Rozin who relate without the basis of a decaying love in a bitter and hostile state. They finally returned together after their only child was lost and they tried together to find it. Lots of lessons you can take when watching Loveless. Your heart will be torn to see how unfortunate the fate of a child who lacks affection from his parents. And on the part when Maryana and Aleksey are looking for their child together, this will make your tears truly unstoppable. If you want to feel the sensation of watching a movie that is very touching, this film is right for you. Without Me is a film directed by Kirill Pletnyov in the melodrama-thriller genre. Kirill Pletnyov is a popular Russian actor who just started his career behind the scenes. But he managed to create a unique melodrama and will tore your heart out. Without Me also managed to present a fantasy story that is very unique but very touching the hearts of anyone who watched it. Without me tells of two girls who love the same man, but after the death of the man, both of them begin to receive messages from other worlds. Finally they decided to travel together to solve the mystery. You will feel connected to seeing the struggle of the two girls looking for meaning from the message of their beloved lover. then what is the end of this story? You certainly can’t expect it. You must download this film immediately. Burnt By The Sun is a phenomenal film in Russia and the world, and everyone in Russia must know this film. The film was directed by famous Russian director and actor Nikita Mikhalkov which was released on May 21, 1944 with a duration of 135 minutes. The film was aired in two countries and two languages, namely France and Russia. Burnt By The Sun is a historical fiction genre film that will tore your heart out. The film tells the story of Colonel Kotov, a red army officer who spends summer time in the village with his young wife and 6-year-old daughter, Nadia. However, everything changed dramatically, when Cousin Dmitri came and lured his wife and daughter, Nadia. But Kotov wasn’t stupid, he tried to get his family back. Colonel Kotov’s struggle in this film will really touch your heart. the work of Nikita Mikhalkov has always been phenomenal and impressed anyone who watched it. The film won various awards such as the Grand Prize at the 1994 Cannes Film Festival and the Academy Award for Best Foreign Language Film. The next film is still with an old Russian film that is very legendary. Dark Eyes is a Russian and Italian language film also directed by Nikita Mikhalkov. This film was adapted from Anton Chekov’s story, The Lady With The Pet Dog. The 118-minute Russian melodrama film was released on September 9, 1987 in two countries, namely Russia and Italy in 3 languages, Russian, French, and Italian. Dark Eyes is the most famous Mikhalkov’s film outside Russia. the film tells the story of a married Italian man who falls in love with a married Russian woman too. Their love story is a forbidden love story filled with a dilemma between love and obligation to the family. The film stars talented actors Marcello Mastroianni and Yelena Safonova. You are certainly curious about the end of the story in this film. Will they live together? Those are 5 heartbreaking russian movies that willore your heart out. It is not always a melodrama genre film that will tore your heart out. And Russia proves, with their long history, they have managed to create extraordinary films from the past until now. You can choose one of the films that we recommend you watch when you are bored and have free time. Before watching the films that we presented earlier, you should provide tissue.